The court masque, introduced in 1512 (during the time of King Henry VIII of England), was a form of dramatic writing and production stylized by poetry, music, and dance. As you might suspect, the players wore masks representative of portrayed characters. Burlesque dances (see Forms of Theater) were incorporated in these productions – they were referred to as the antimasques. English architect and stage designer Inigo Jones contributed greatly to the technical improvements in the production of masques. Of this genre, many of the forms and characters were gradually incorporated into later forms such as ballet, opera, and pantomime. Lavish court entertainment was the predecessor of ballet. Court ballet became another popular entertainment format. Professional dancers first appeared in the mid-1600s. It was in 1661, during the reign of Louis XIV, that a professional organization for dancing masters was established. Then came ‘opera-ballet’ emphasizing singing and dancing. This genre of theater offered a variety of short acts, which evolved from minstrel shows (c. 1840 – 1870) and beer gardens. However, its roots came from a French form of nineteenth-century pastoral plays with musical interludes. A typical show consisted of between eight and 14 acts (‘turns’), and showcased music, dance, magic, comedy, acrobatics, and even animal acts. The success of the carefully constructed vaudeville format influenced early motion pictures. Around 1890 the term ‘variety’ came into use and replaced the term vaudeville. As entertainment changed, the variety/vaudeville circuit retained some popularity until 1932, when New York’s Palace Theater replaced live acts with films. Burlesque was originally a dramatic literary work. It is reported to have first appeared in the Greek and Roman plays (from authors such as Aristophanes and Euripides). It is satiric and comic in nature, characterized by ridiculous exaggeration. Burlesque seeks to treat serious subjects lightly, and lofty subjects with mocking humor or triviality. Later, it gained notoriety as being bawdy, risque entertainment. It mimicked the Minstrel Show by adhering to a ‘tripartite’ form. In the 1860’s, female troupes began performing much of the musical portions of the show, often interspersed with male comedy acts. The striptease emerged from this genre, usually in the grand finale. Neither of these forms are as well-defined or well known as the others. Relatively obscure, their crossover status is reflected in the definition of their titles. In fact, many times the terms were combined to describe works at the turn of the century: the spectacular extravaganza. Extravaganzas are elaborate, spectacular displays. They were dramatic, light entertainment, often with improbable storylines, and sometimes parodied contemporary, legitimate shows or stories. The distinctive works of Cecil B. DeMille, for example, are considered extravaganzas of epic proportion. Spectacles embody the larger-than-life-production. They are literally remarkable, impressive displays, or lavish entertainment. The term characterizes much of the decadence and grandeur found in lavish entertainment forums, and often include exotic settings. Extravaganzas and spectacles can be considered precursors to the musical genres. The musical underwent transformations and resulted from influences from many categories. History of theatrical backdropsThe theme of the musical revue began on the heels of burlesque. However, it focused on using a single cast in contrast to performances where different entertainers were used. These revues were normally accompanied by carefully executed, showy set designs. The best known example of the revue was the Ziegfeld Follies. The Follies of 1907 brought to the stage extravagant, dazzling sets. 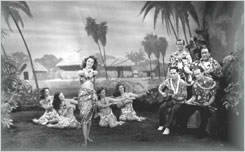 The musical comedy was typically a narrative story along with dance and song, and, like the revue, it used one cast to perform the show. American musical comedy was influenced by European operetta and light opera, but the story lines became less serious while incorporating more dancing, often at a quicker pace. Works of Gilbert and Sullivan, Reginald DeKoven (“Robin Hood,” 1891), and later Jerome Kern and Irving Berlin added their artistic mastery to the musical form. Scenery may incorporate any of the following functions: the means by which the performer’s actions and arrangement on stage are embellished or aided, give information about time and place, express a mood, or stand out on its own artistic merits. Modern staging and lighting are attributed to a renowned Swiss artist, Adolphe Appia, who initiated another transition in scenery in the 19th century. He developed new set designs and design theories of scenery and believed scenery must be three-dimensional and multilevel, connecting the actor and the scene. In 1915, one influential writer and designer, Robert Edmond Jones, became part of a group that created and popularized new concepts of design for theater. The organization known as the ‘Provincetown Players’, started in Provincetown, Massachusetts and later moved to New York City. Members included the likes of dramatist Eugene O’Neill, E. E. Cummings, and Edna St. Vincent Millay. This group of artists revolutionized set design, which played an important role in productions. The various functions of scenery became important in creating a visual, esthetic effect, thus enhancing the playwright’s or author’s work. Where there is theater, there is often song and dance, which introduced the musical films.Hardship and adversity are not foreign to the arts. After the stock market crash of 1929, the Great Depression affected all industries. The Federal Theater Project, begun in 1935, was the largest and most ambitious effort mounted by the Federal Government to organize and produce theater events, and help employ professionals. It was designed to give work to actors, directors, playwrights, designers, vaudeville artists, and stage technicians. The organizing authority also hoped that the project would result in the realization that theater is vital to the nation, and that a program of this nature should continue to function after the program was completed. Although it ran out of money in 1939, it was responsible for hundreds of stage productions and toured many circuits, including some rural areas. 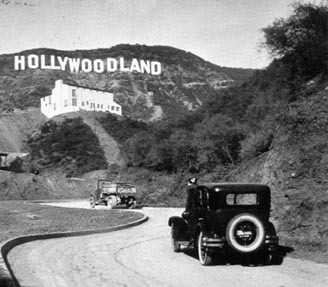 As the growth of the cinematic movement continued past the silent film days of the 1910’s and 1920’s, America dominated the filmmaking industry. By the late 1920’s, the advent of recorded sound added new dimension to motion pictures. Stage performers evolved into a new breed, often having been lured from Broadway. Where there is theater, there is often song and dance, which introduced the musical films. Hollywood soon found the Broadway stage format too restrictive as elaborate sets with a stage filled with dancers and multiple cameras were needed to create the right cinematic effects. New technology was on the rise. Scenery became a very important element in stage productions. The role of a person that designs a scene calls for a creative individual who can weave the concepts of the director, playwright and other technical personnel into a visual panorama. The nomenclature may vary according to the production house size and nature of the performance. Scene or designer, or prop designer, and even set designer describe the person responsible for the visual appearance and function of scenic (and often property) pieces for a show. A scenery designer is usually responsible for overseeing the lighting, set construction and property crews. For different productions, the job description (and the work involved) will vary. If your production is a commercial one, you probably have a technical director that will work with the scenic designer. If the theater is a school, summer, or community theater, the scenery designer may also play the part of the technical director. The scenery designer may have scenic artists and a paint crew to supervise, or they may do much of the painting and design themselves. Depending on the budget allocated for properties, it is very common to rent them rather than go to the expense of materials and labor to create the sets. Flying scenery – rope systems and counterweight systems, manual shifting of set unit sets and sets within sets. Flat scenery – framed: flats, framed drops, ceilings, rigging systems, and Elevator (hydraulic), revolving and slip stages. Designing sets for art forms of dance and ballet require careful use of space to enhance the performance, but cannot obstruct the movements of performers. This is true of many productions, from plays to corporate meeting performances in hotels or meeting rooms. In the early days of motion picture making, everything in set design was very theatrical – elegant, glamorous, and bigger than life. The artistry was often detailed and elaborate. Many times now it is not as detailed, but with improvements in three dimensional design, use of varied lighting, and new methods like three-dimensional shaping adds diversity and creativity in design. In any theater, the uses of color, texture, contrast and lines are the tools of the designer’s palette. Over the years, the fabrics and paints have changed. Draperies come in a variety of fabrics, such as velour, velvet, duvetyne, rayon, and silk. The duvetyne is less durable, but lighter in weight. Velour is beautiful and elegant, and is a fabric of choice where a production calls for this type of drape. It absorbs light and backstage noise, and prevents bleedthrough. Use of fabrics can add a three-dimensional texture to walls. These are popular items for masking. Draperies and curtains come in different degrees of fullness, meaning how ‘flat’ or ‘gathered’ they are. Drew Campbell, in his book Technical Theater for Nontechnical People, writes, ‘By the way, did you know that the Romans dropped the front curtain at the beginning of the show instead of raising it? It fell to the ground and was dragged away by slaves. The idea of raising the curtain up out of sight was invented during the Italian Renaissance, when many of the stage crew were former sailors and sailboat rigging was brought to the theater.’ Times have changed! Lames are special fabrics that add glitter and showiness to a stage. With their metallic fibers woven into the fabric, they really dress up a set. For backdrops, scenic artists use muslin now instead of linen. Besides the painted drops on muslin or linen, there are scrims. When lit from the front, scrims appear opaque, and when backlit they become translucent. Scrims are available in many sizes. They can add magic to performances! Many drops come with a ‘pocket.’ Due to the lengths of some drops a pocket sewn at the bottom will give the drop a smooth appearance when a pipe, batten or chain is passed through, thus weighting the drop. Paints used for painting backdrops consist of pigment, binder, and solution – the same concept as any paint. Paints are generally oil-based enamels and water-based latex. The theater paint of old was composed of an animal glue-based medium (sometimes called ‘dope’) and the powdered paint pigment. In order for the binding to occur, the glue had to be heated and mixed with the dry paint, which created an awful odor. The colors were much more vibrant than latex paint, but they do not hold up as well as today’s paints, thanks to better technology. Backdrops and draperies represent expensive materials to replace. Care and proper handling will help you return a rented drop or drape in good shape. Please see our Care and Maintenance section for more on these topics. There is no standard backdrop size. Common sizes are 22′ high x 50′ wide and 17′ high x 40′ wide, but they are available in many specialty sizes. Grosh Scenic Rentals offers a broad selection. Linen fabric widths were 3′ – 4′, so in the early days the seams were sewn horizontally. With the more widely used muslin fabric, there are 2 seams sewn vertically on a 22′ high drop and 1 seam sewn on a 17′ high drop. I Have a Show to Stage – Where do I Start? What kind of scenery does your production or event need? Well, as you might already know, it depends on the show or play that you are going to perform, and the statement that you want to make. Some productions are quite elaborate indeed, while others may use minimal or symbolic scenery. At Grosh Scenic Rentals, we cater to all types of live theater, ballet and dance, party and event planners, and corporate theater needs. Our sales consultants have backgrounds in all forms of entertainment events, and can suggest ideas and alternatives for your company or school. If your production needs a setting for a Broadway show, or your dance troupe needs a quality backdrop, we can outfit you. If your party or event needs magic, themes from Westerns to plantations, from Hollywood to an NYC skyline or forest scene, something Biblical or something devilish, a fantasy world or a world of a particular era, from ballroom to disco, call us to help you make your event a smash!